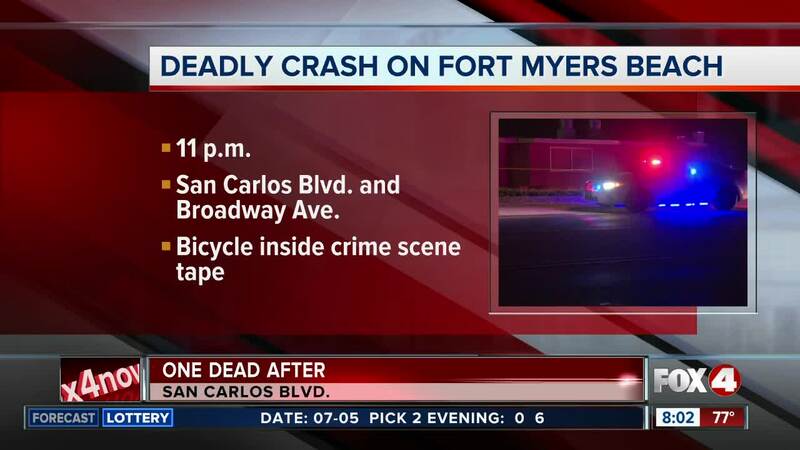 LEE COUNTY, Fla. -- Troopers say an alcohol-related crash on San Carlos Boulevard Thursday night left a bicyclist dead. According to Florida Highway Patrol, the crash happened near the intersection with Broadway Avenue around 11 a.m. They say 23-year-old Timothy Spinelli was driving a car northbound on San Carlos Boulevard and lost control at a curve in the road. The car went onto the sidewalk and began to overturn, hitting the bicyclist and knocking them airborne. 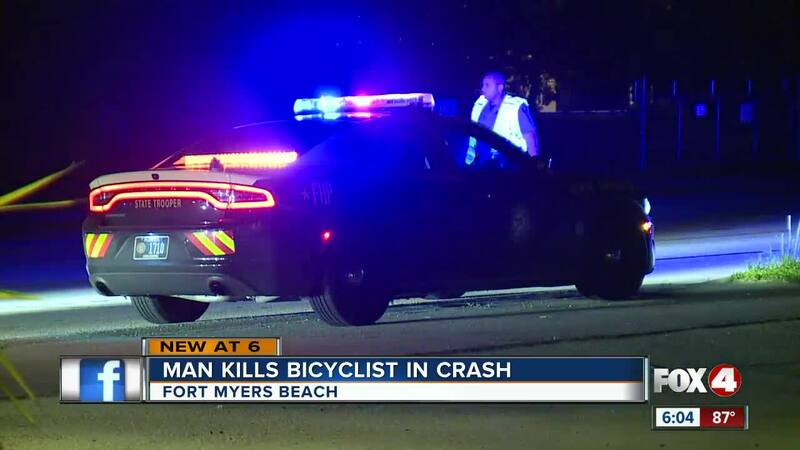 The bicyclist, who has not yet been identified, was pronounced dead at the scene. Spinelli suffered minor injuries in the crash and was treated at Lee Memorial Hospital.